Who’s up for a midnight feast? 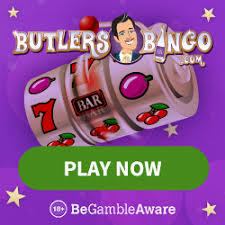 Come and join Butlers Bingo between the 10th and 19th of October to play a fantastic 90 ball game of bingo on this UK bingo site and earn extra Bbz for your trouble. Winning on this game means you get an extra 1Bbz prize for one line wins, bingo on two lines and get an extra 2 Bbz prizes and get a full house to win yourself an extra 3 Bbz prizes. There’s £6360 up for grabs in total over the course of the week so to be in with a chance of winning check out the games schedule at Butlers Bingo for more details on when these daily bingo games will play. This bingo site also has some great welcome offers as they will automatically deposit £10 into each players account when they first join with no deposit required! There’s 150% first deposit bonus on your deposits up to £100 so if you spend £10 you’ll get an extra £15, if you spend £100 you’ll get an extra £150!